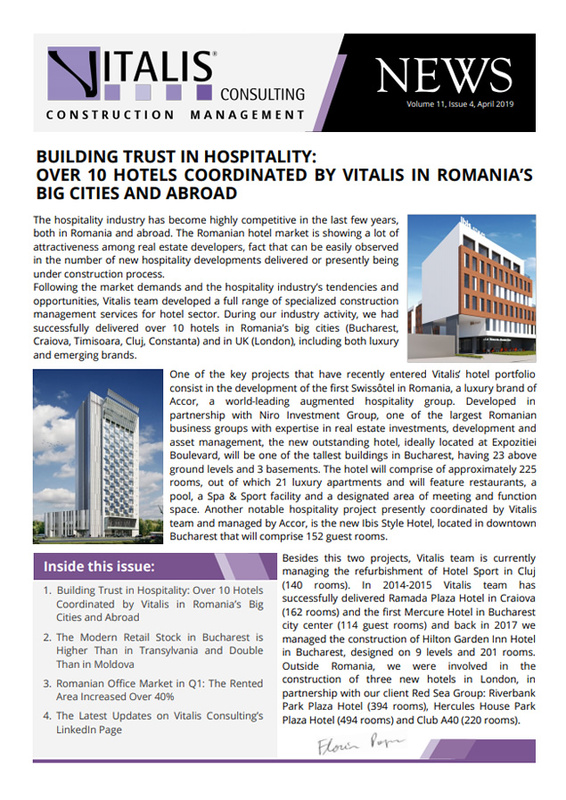 The project consists in the development of 7 buildings with a total of 207 apartments, ideally located in downtown Craiova, at 22 Bujorului Street. Being placed in the central area of the city, the residential complex benefits from convenient access to the main boulevards of the city. Thanks to its central location, the most important avenues of the city are easily to reach; from the recreational places such as parks, museum, pubs, sport club, shopping centers to the local institutions like the University, hospital, churches and Craiova City Hall. The construction process already completed its first 3 phases, currently getting to the forth phase and the final one of this project. The first construction phase run from 2015 to 2016 and consisted in the construction of one 4-storey building with 4 commercial spaces on the ground floor and 18 apartments with 2 and 3 rooms. The second construction phase, which begun in February 2016 and ended in February 2017, targeted the construction of two buildings having height regime of B+GF+6F, totalizing 64 flats. Similarly to the second one, the third phase of the project lasted from January 2018 to May 2018 and consisted in the development of two more 6-storey buildings with a total of 63 apartments. 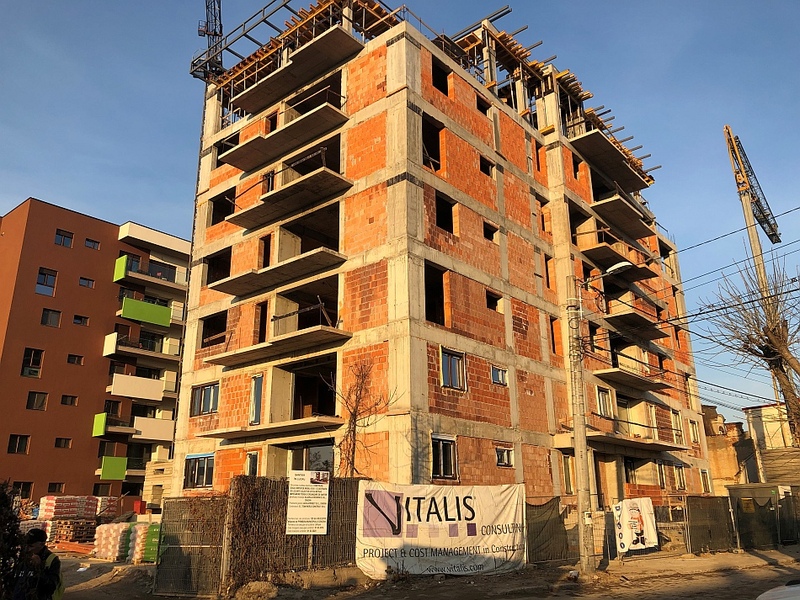 Starting with March 2018, the 4th and last construction phase of Bujorului Residence project has begun and Vitalis team is eager to see the that their work from past three years are taking the shape of a great residential complex. This phase consists in the development of two buildings with 62 apartments disposed on 6 floors. Currently, the construction process is progressing to its peak. The resistance structure is completed for both buildings, as well as the lighting and fire extinguishing systems at the basement level. The brickworks are executed up to 3rd floor for each of the buildings. Also, the electric wiring is assured up to the 2nd floor and is advancing to the following ones. Within this project, Vitalis team was appointed to provide Project and Cost Management services, as well as Design Coordination, Site Inspection and Health and Safety Coordination. The 4th phase of the project, and so, the entire project is planned to be completed until August 2019. It is important to point out that we have been Casa Nostra Imobiliare’ partner within other two significant projects developed in Craiova. We provided Casa nostra Imobiliare with our construction consultancy services in 2016, within the "QFort", an office building project. At the moment, in parallel with the coordination of Bujorului Residence, Vitalis team supports this company in another construction project initiated in 2017, respectively a residential project called Decebal Residence.